Results for category "Electronic Media"
Anyone who would be writing this article and has got some friends in Television Media industry especially in their marketing departments, the author should remain anonymous .There are maximum chances that the article writer would lose some friends in some of the TV channels .Only a decade ago, Television channels were owned by the public sector and there was no such thing as privately owned TV channels. The industry was small and ideas of current affairs and even of entertainment programming were conceived as per the policy guide lines of relevant government departments .The participation of private sector and of the human resource of private sector was almost negligible. That era was not considered as the era of innovation and creativity, the freedom of thought was a mere dream and execution of radical ideas was just wish for the inspiring and experienced directors and producers. Surprisingly in the last years of the President Mr. Pervaiz Musharaf , whole media landscape of Pakistan changed .It was like a new dawn and screens were changed like through some overnight magic. Electronic media have now started enjoying the freedom to produce and show what has never been shown in the past in Pakistan. In this decade of getting the maximum ratings, the media industry has passed through a hard evolutionary period. The fever initially was of News and Current Affairs but later as it always happened; people got bored of monotonous screens .In that period, a competition between the different genres have started. People have started to pick and choose and the remote control holders became the driving force and decisive authority about the type of programming they wanted to see on their screens. After this evolutionary period and hard times and teething issues, those have been resolved .The media is tamed down and people are no more freak about the News and current affairs but the viewers are also trained and tamed to a great extent and now they can tell, which program has got a richness of content and what would they prefer to see. Family viewing of TV in households is culturally and socially very common. People mostly with one household TV set like to watch their favorite programs in the evening in family gathering. The entertainment genre which is normally comprised of Drama channel is equally interesting; it has however given some dynamic positioning to Television production industry of Pakistan. As of today PTV home is leading because of its terrestrial and satellite reach and HUM TV is going head-on with ARY digital and Urdu 1 Just some inches below on the viewership graph. A-Plus is leading among the second tier and ATV not to forget, its terrestrial reach , the struggling channels are TV 1 and others .Last but not the least GEO entertainment and Geo Kahani waiting for their fate to come back in the main stream . This skill is what makes us remarkable and giving over excellent work .Whatever the challenge , you want to air a spot during a drama or during prime time .Get in touch with the advertise in Pakistan today. We will serve you best services. Our dedication to our client makes us the elevate ad agency. Asian channels are the highest reaching channels among Non Arab expats pop. Time and Space Media (Pvt.) 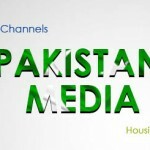 Ltd. is one of the top media buying houses of Pakistan. 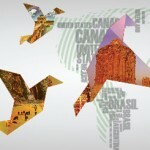 We have our offices in South Asia, Middle East and Europe. Time and Space give you a unique opportunity to expose your brand globally to earn a global image. With our excellent global relationships we have a distinction in buying media and building brands in the international markets to explore new horizons of sales. We give you a complete brand building strategy with all parameters of success. We build brands according to the market situations and the need.